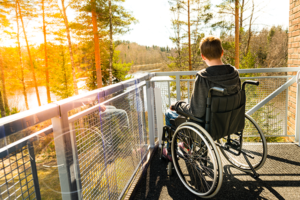 If you have a child with a disability who is unlikely to become financially independent, no doubt you already have begun to think about what would happen to him or her when you die. Fortunately, an estate planning option called a Special Needs Trust is available in Pennsylvania. Through a Special Needs Trust, you can plan where your child will live, who will care for him or her, and where the money will come from. A Special Needs Trust (SNT) is a type of trust that addresses the specific needs of a person who is disabled or mentally ill. The trust is a legal entity that receives and manages assets for the beneficiary. It is usually a better option for parents, grandparents, and guardians than leaving assets to a disabled loved one through a traditional will. This is because receiving large sums of money at once can disqualify a disabled person from government assistance programs such as Medicaid, Supplemental Security Income (SSI), and subsidized housing. Another use of an SNT is to manage the proceeds from lawsuit settlements involving your disabled loved one. In a scenario in which the disabled person is a plaintiff awarded funds by a court, the money would go directly into a trust and would not disqualify him or her from receiving government benefits. SNTs can be used to help pay for care and services over and above those the government provides over the long term. Such a trust must be put in place before the disabled person reaches the age of 65 and will endure as long as it is needed—or until its funds are exhausted. Because an SNT involves naming a fiduciary trustee for the disabled person, it is of particular benefit for disabled people who lack the ability to manage their own day-to-day finances. Trustees should be chosen with great care; they can be family members or, if necessary, someone appointed by the court. Trustees of SNTs will have total control over the disabled person’s funds, so he or she must be someone trustworthy and skilled who can be counted upon to act consistently in the disabled person’s best interest. Trustees have the responsibility not only of distributing the funds as intended by the founders of the trust, but also of managing and investing the trust’s assets over time. Family members usually make good SNT trustees because they are most aware of the disabled person’s needs and genuinely want the best for them. However, it is possible to arrange for a corporate fiduciary with experience managing trusts to serve as the trustee of the SNT for a fee. An SNT governs only a disabled person’s financial assets, so a guardian also should be carefully chosen through the will of his or her parents. Naturally, the guardian should be a devoted person who has the time and skills to assist the disabled person in his or her daily life. The trustee and guardian can be the same person if that is deemed appropriate. Should the trustee or guardian predecease the beneficiary, those roles can be assumed by court-appointed individuals. What Kinds of Expenses Can Be Drawn from a Special Needs Trust? Since giving the beneficiary of an SNT money directly from the trust might jeopardize his or her eligibility for government assistance programs, a trustee uses the funds to buy services or products the disabled person needs. This might be things related to the disability such as home care attendants, medical expenses, physical therapy, or education. However, they can also be things like day-to-day expenses and recreation. Are There Any Disadvantages to a Special Needs Trust? The most significant disadvantage to an SNT is that it gives the beneficiary little control over his or her own money. For disabled people wishing to increase their level of independence, this can be discouraging. For most families, however, the pressing need to preserve the beneficiary’s access to government assistance outweighs this consideration. The cost of setting up an SNT and the possibility of annual fees if a third-party trustee becomes involved also may give some people pause. Again, these concerns are usually rendered moot when the security of an SNT and the preservation of the disabled person’s benefits weighed against them. Should an Attorney Help Me Set Up a Special Needs Trust? Legally, anyone can create an SNT so long as the right language is included. That said, an SNT may be the most critical financial planning vehicle that you will ever enact. While it is impossible to entirely predict your disabled love one’s future needs, it is possible to carefully draft language that will protect the child in a variety of scenarios. Another consideration is that although there are many helpful books about setting up SNTs on the market, complicated, state-specific rules apply to these kinds of trusts. Your best bet is to consult a trust and probate attorney licensed in Pennsylvania who has experience with the financial needs of disabled people. If you have a disabled child and need help planning for his or her future, rest easy. The trust and estate attorneys at Raffaele Puppio in Media, Delaware County are here to help. Contact us today at 610.891.6710 to arrange for a consultation.